Please click to download, print and fill out this PDF copy of our 2019 Exhibitor Agreement form. Include a check and mail the form to PO Box 42423, Houston, Texas 77242 c/o Sean Horbold. 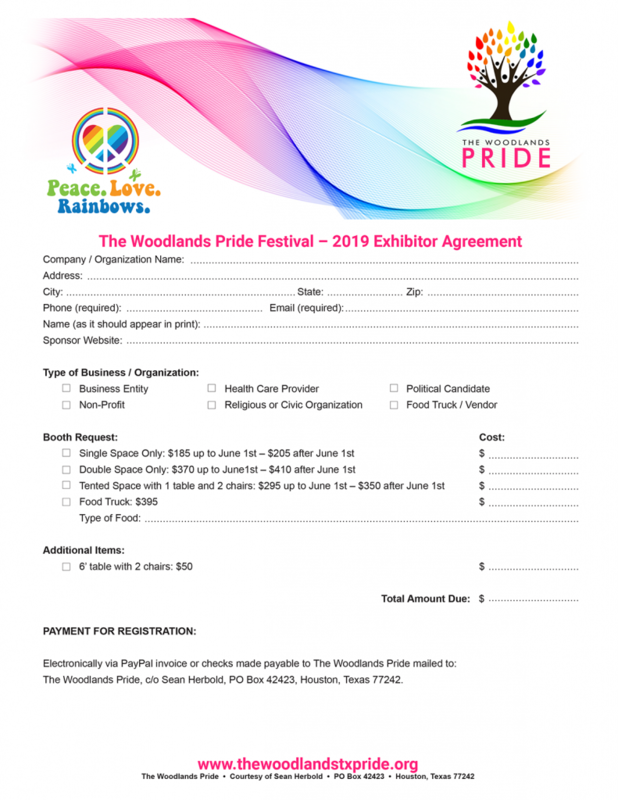 If you prefer an invoice via Paypal, email the form and invoice request to cfo@thewoodlandstxpride.org. The entire Terms and Conditions of the Exhibitor Agreement can be found here. Upload a copy of your insurance policy and food permits here.